We invite you to join our football family by becoming a WOBFC partner. By partnering with us, you’ll be enabling us to build our club and offer an even better experience to our community. Good for the soul, and good for business! See what opportunities await you in our Partnership brochure (PDF 1.24MB). We want to give back to our members, which is why we are seeking new business relationships to partner with the club. With increased support, we can run the club more effectively and offer more benefits to our members through sponsorship. Support a local community organisation and its members. Gain access to thousands of new customers – over 1600 players, parents, coaches and managers. Take advantage of brand exposure through social media and online communications to our members – weekly reach on social media of over 6,000 people and growing. Tailor a partnership arrangement that works for your business needs. Let's do this! See the Partnership brochure (PDF 1.24MB) for partnership options and cost. 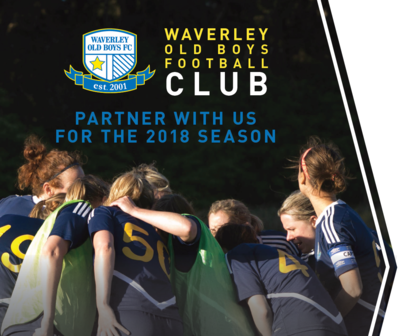 To discuss your options email sponsorship@waverleyoldboys.com. See what opportunities await you in our 6-a-side partnership package (PDF 939KB). The Waverley 6-a-side competition is an exciting opportunity for local business to be a part of our growing community. 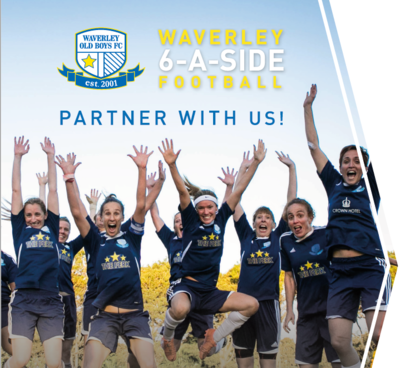 We’re seeking new businesses to support Waverley 6-a-side football and connect with our growing community of players, referees and volunteers. See the 6-a-side partnership package (PDF 939KM) for partnership options and cost.